You are here: Home / Is Qigong a Sect? 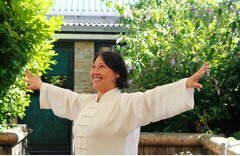 Those who have followed Dr Shen’s courses for a few years know that one of his big concerns is the teaching of false Qigong or Chi Kung exercises. Maybe this article helps to explain why. On the 25th April news was sent around the world that a Chinese sect claiming to have 170 million followers had organised a demonstration of thousands of people surrounding the Zhong NanHai, the centre of the Communist Party. This was a reaction against the publication of a scientific study criticising pseudo-scientific talk about Qigong, false scientific reports, false demonstrations, and opinions which could damage public health. The government responded by prohibiting public demonstrations by the sect and issuing an order to find the leader. Why did a government which helped to build Qigong into a huge movement 20 years ago now try to stop this big group? To understand this we need to know more about the history of these exercises. After Mao’s death in 1977 the climate became more favourable to Qigong. The new leader, Den Xia Ping, wanted to replace the senior officials of the previous regime. Millions of people had to retire early from the army, government and business, sometimes even at the age of thirty five. This group of people helped the exercies to develop. Under Mao hardly any new houses had been build even though the population grew threefold. Many of those who retired spent their time in the parks to escape their crowded houses. There they gladly joined the various exercise groups. 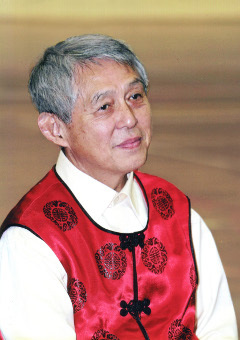 During the Cultural Revolution (1974) the head of the ministerial department of Traditional Chinese Medicine, Mr Lu Pin Kuai, had been to Shanghai to research certain techniques practised under the name of Qigong. He wanted to know whether this kind of exercise could improve public health. The head of scientific research of nuclear physics, Lu Pia Kuai, believed that latent mental functions might have possibilities in the future. Consequently the Ministries of Sports and the Labour Parties started organising huge classes from 1979 onwards. Everywhere the population was taught these exercises. Office workers and labourers were given time off to participate. In Peking the first system to be introduced was the “New Qigong” by calligrapher Mrs Kuo Lin, in Shanghai Dr Shen’s own Taijiwuxigong qigong system was taught. The government’s orders were to go and look for the treasures of our civilisation, collect the old exercises and extract those that are useful. Many other new exercise systems were also created. Lots of books, scientific reports and specialised magazines began to appear. Articles with theoretical, often pseudo-scientific, explanations tried to prove that Qigong was very old indeed. Qi became like the miracle thing with which you could do anything. In fact it is not as old as many people would like us to believe. The first time the word Qigong was used in a scientific text was in 1934, when Dr Dong Hua used it to refer to breathing exercises for TB patients. Before that it was only used to describe tricks used by street artists at fun fairs. The “New Qigong” of Kuo Lin was very young, and Taijiwuxigong was then only 20 years old. The death of Mao put China in disarray, leading to much opportunism. Qigong had developed into almost a mass movement and suffered along with everything else. People who had lost their political position tried to exploit the exercise systems. Some with no knowledge of the subject at all gave themselves titles like “Qigong Grand master”, “Prince of Qigong”, or “King of Qigong land”. Massive movements always attract strange characters, and this is also true of Qigong. Some groups gave the word the weirdest meanings. One of them for instance used it for their magic tricks performed in the streets. They tried to make gullible passers-by believe that their exercises would make their body lighter. To demonstrate this, they walked on light bulbs or stretched paper. However, in China every light bulb that leaves the factory needs to be able to take a weight of 160 kg, so there is no art to walking on them. The same goes for the brown paper that they used; it is very strong. A few years ago someone gave a demonstration like this in Holland: with his hands he sent so-called qi to a newspaper hung up in front of him. After a few minutes the paper caught fire. With some chemistry one can easily explain the trick: you only need spray the newspaper with a mixture of phosphate and alcohol, then wait until the alcohol evaporates. In the field of science falsified reports were published, for example stating that “external Qi” could transform water molecules, or that a patient suffering from anaemia could increase his red blood cell count by more than 2.7 million per cubic mm after only a few exercises. (The normal red blood cell count is 4.5 to 5.5 million per cubic mm, and it takes red blood cells 80 to 120 days to develop). The movement is slowly losing popularity. The government no longer has control over it as the older generation makes way for a younger one which does not agree with their ideas. Some teachers are still trying to keep their position with the (unofficial) help of high level government or military officials. However, as these officials are not necessarily in a secure position anymore, it sometimes occurs that sects become political vehicles or tools. It is against this background we should view the relative success of certain sects and the reaction of the government. The current leaders in the government are part of the intelligentsia, not of the army as before. They are very concerned and open about restricting corruption, which evokes reaction from those who acquired power and money in a corrupt way. They will do anything to bring down the government. So they are using sects to bring unrest to the country. This is my opinion, but not (yet) the official version of the facts. The strategy of the sects is pretty much the same each time: a leader claims he is a reincarnation of some god. When people don’t get any positive results through the techniques that the leader prescribes, it is attributed to mistakes made in previous lives. Exercises consist mainly of relaxing the mind and when the mind is relaxed it is very easy for someone else to take over control, so followers are easily convinced. Whereas we have always tried to unravel different religions to find out what they have to offer us in terms of truth and useful techniques, a sect leader works the opposite way: he just throws together some techniques and opinions to make a new religion. We have always avoided political power games and mass movements. We also distanced ourselves early on from Qigong and registered the name Taijiwuxigong in order to protect it. The word Qigong is a broad church, and we know only too well the misuses and the risks involved in bad techniques. We are not saying that Qigong has no value, different exercises have different functions and results. Relaxation exercises can help with stress, concentration exercises with depression, movement exercises with bad posture. In general we can say that these exercises can definitely have a positive effect with regards to various diseases, often those for which conventional medicine has no solution. It is when the exercises are used wrongly that they can have an negative effect and this danger is very real as a lot of teachers are really not professional.